Our new Weston fabric, with an all-over diamond pattern called diapering, has small floral designs at each intersection. 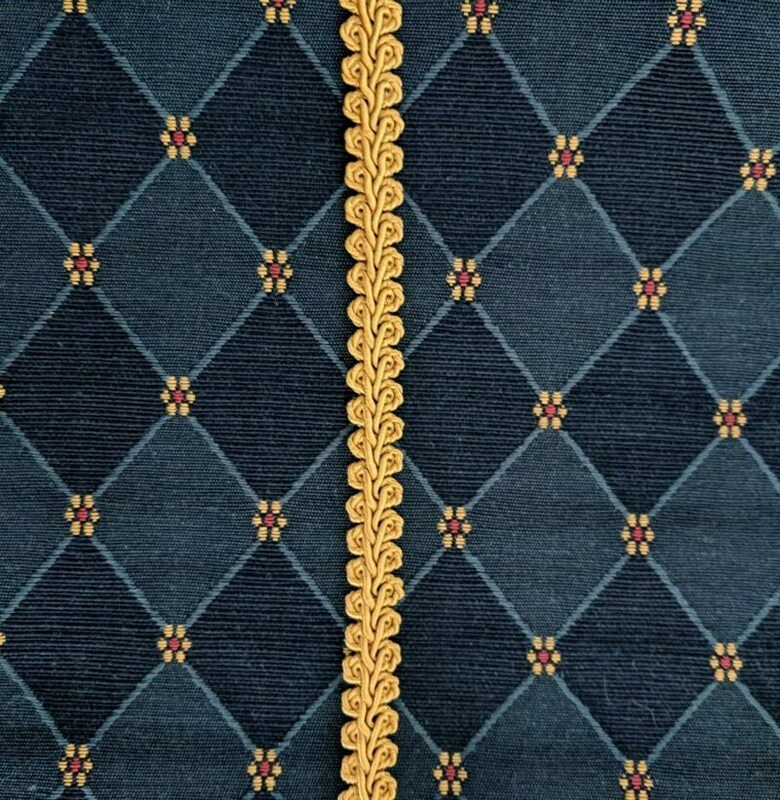 This upholstery weight material is a sturdy close weave, making it perfect for Gipsy Peddler rapier armor. 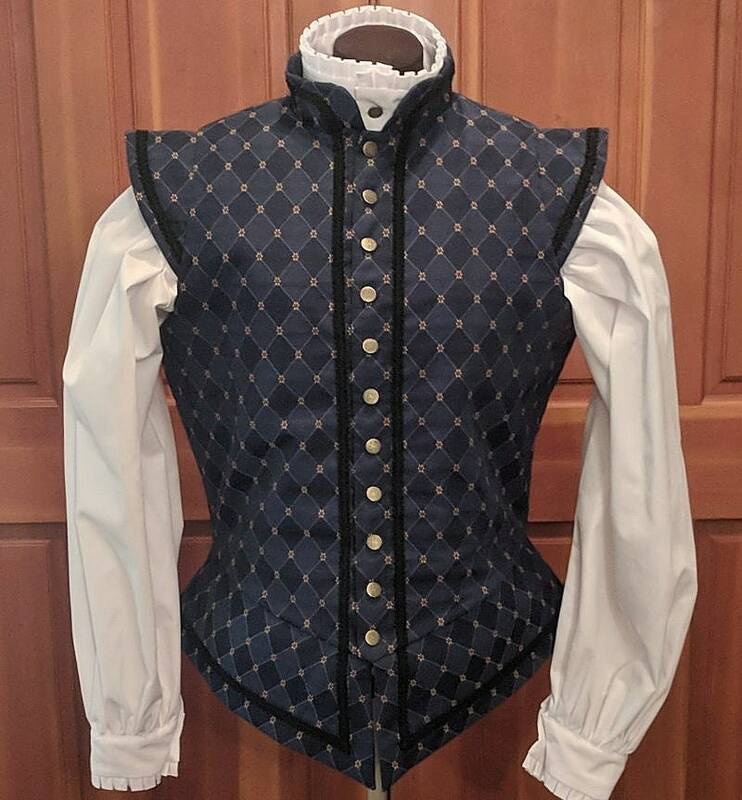 This jerkin or sleeveless doublet has a lining of 2 layers of trigger poplin sports cloth. 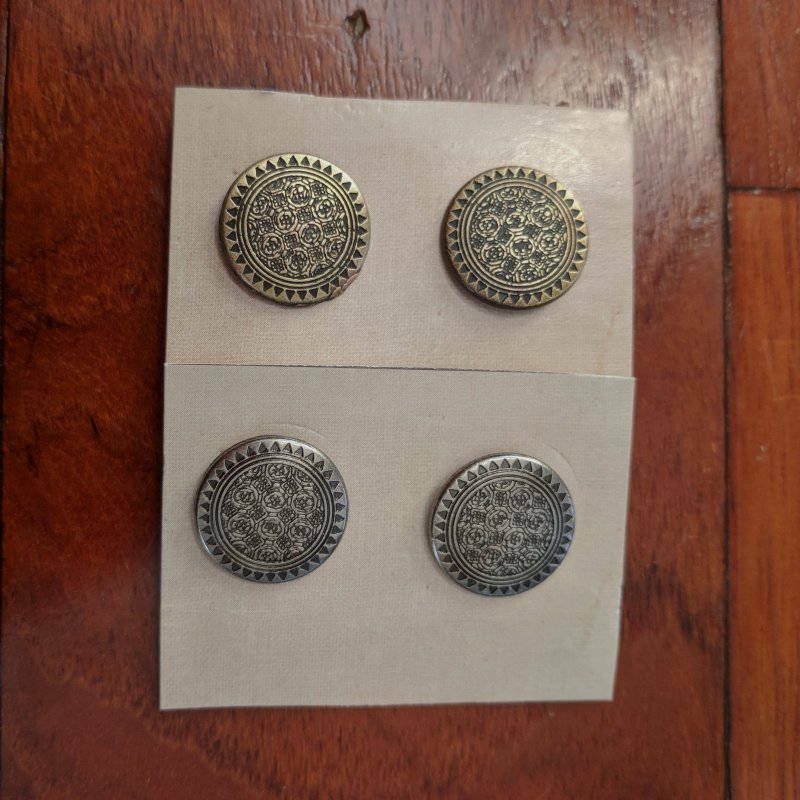 There are metal buttons and buttonhole closures down the front which has a generous 4 inch overlap. There is a gimp trim down the front and around the bottom as well as on the collar and shoulder epaulets. Please convo us or leave a note at checkout with your choice of buttons and trim! 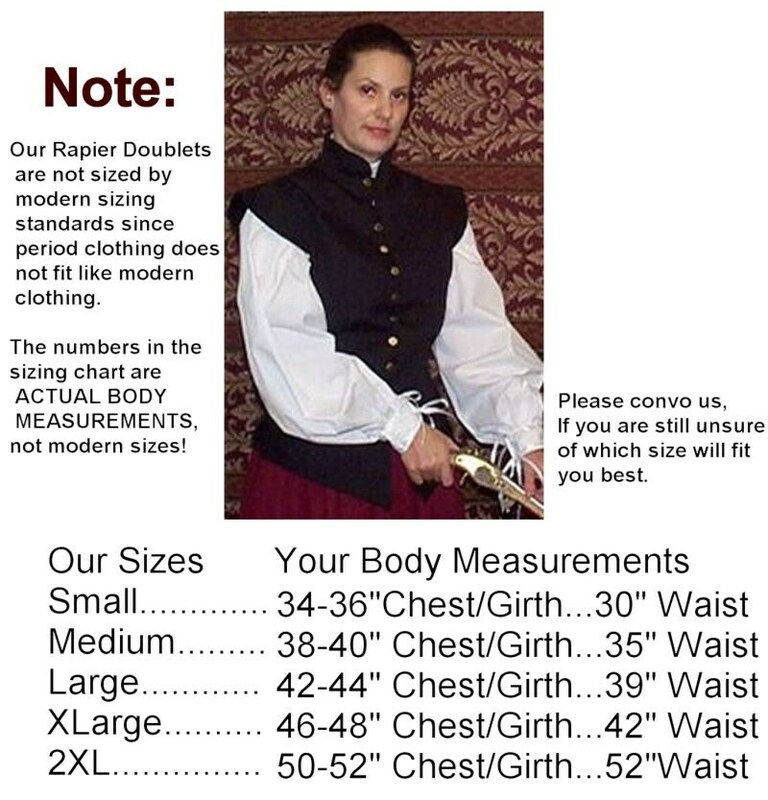 It requires a shirt with a 4 layer underarm gusset to be list legal for SCA rapier combat. We guarantee that it will past the first testing: either a punch test or a drop test. We enclose a testing piece with all layers for testing purposes. This is a poly-cotton blend. We recommend dry cleaning. This listing is for the blue Weston. We also have burgundy and black listed elsewhere. 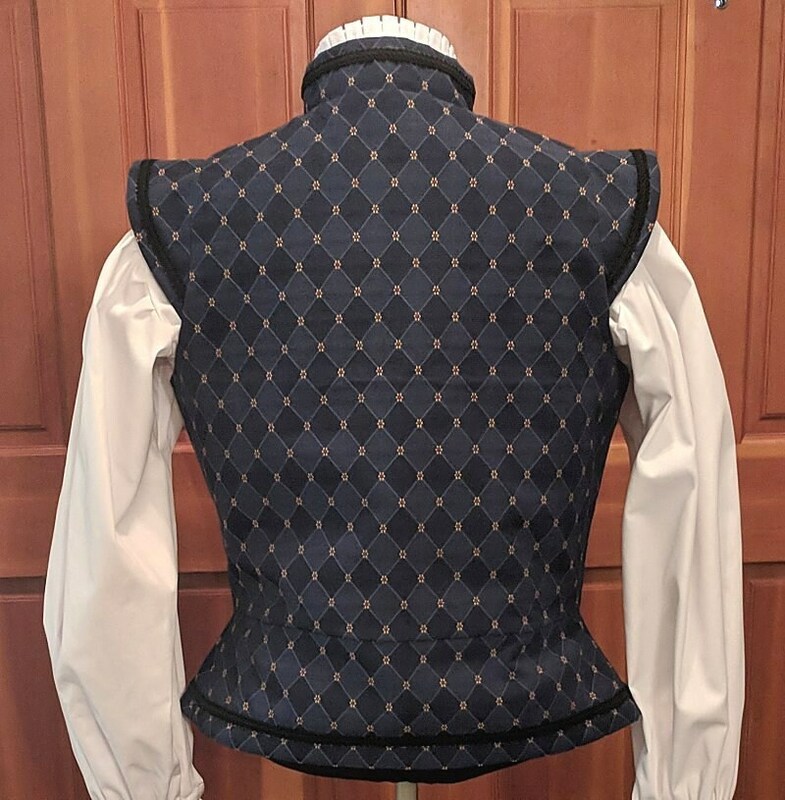 NOTE: This is a listing for MADE TO ORDER doublets. They are not in stock! If you order from this listing it will be added to the production schedule in the next open slot. We will notify you of your ship date once your order is placed. At that time, you can also let us know your trim and button choices. Please allow approx. 4 - 6 weeks so that we can make it especially for you. Please let us know when you need your order and we will try to work it into the schedule sooner. Women's doublets are available by custom order. Shorter torso is free of charge. Other adjustments require a custom fee.